TheBlueGuerilla: EXCLUSIVE: Mike Hancock MP Quits Council Cabinet. MIKE HANCOCK has sensationally quit his post at Portsmouth City Council's Cabinet just hours before an emergency meeting is attended by his local Lib Dem colleagues, where speculation was they were about to sack him, TBG can reveal. On Saturday activists from across the political spectrum collected over 300 signatures in just two hours in the City Centre. The petition is calling for Council Leader Gerald Vernon Jackson's resignation for his mishandling of the complaint against Mike Hancock and subsequent investigations. They also handed out over 1000 leaflets detailing how an estimated £70k has been spent on a cover-up of Hancock's alleged misdemeanours. 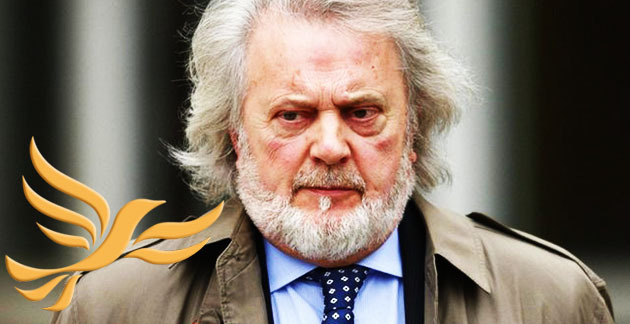 EXCLUSIVE UPDATE >> Claims that Hancock has been ordered to take all Lib Dem material from his website. It's also rumoured that the Lib Dems will not field a candidate against an Independent Mike Hancock in May's elections. Sources say Sandra Stockdale and Terry Hall have been appointed to the vacated roles in the Council Cabinet. That's two females after Councillor Eleanor Scott complained on Radio 5 Live recently that she was the only woman on the cabinet and it was hard to get her voice heard over unacceptable behaviour by male colleagues. Scott commented - "I have raised concerns and raised concerns about the culture, the behaviour, the fact that every time that a woman has got on to the Cabinet in Portsmouth, mysteriously, they haven’t lasted very long. "The technique seems to me to invite them to become Lord Mayor. I think I can safely say that every women I have served in the Cabinet with, who is no longer on the Cabinet in Portsmouth, has sat in the Lord Mayor’s chair – it is like the consolation prize – 'Have a parlour, host some nice lunches but don’t have any power or authority'."